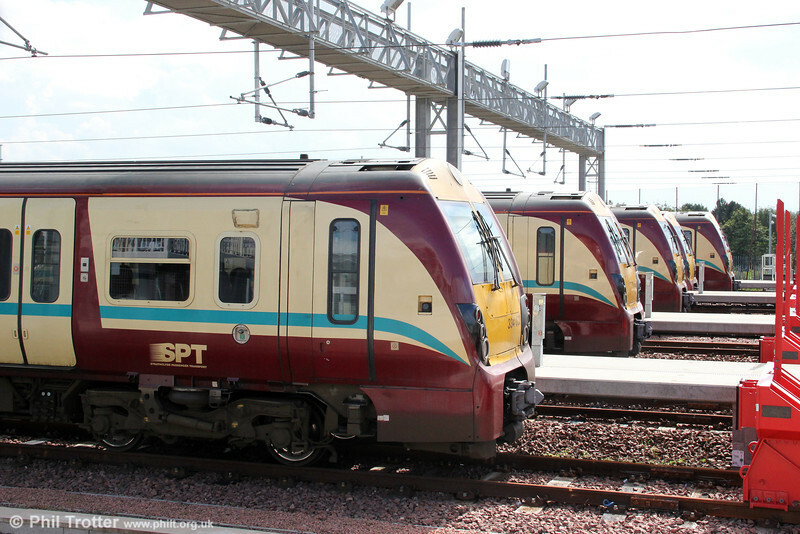 A new servicing depot has been built at Bathgate as part of the Airdrie - bathgate project. Several class 334s are seen stabled there on 4th August 2012. Delivery of class 380 units released the class 334 'Junipers' for use on the reinstated Airdrie to Bathgate link.